What do incredible stars like Justin Bieber, Beyonce, Dwayne Johnson, Shawn Mendes, Camila Cabello, Selena Gomez and Millie Bobby Brown have in common? Not only are they some of the biggest celebs on this planet, but they also happen to be some of the many remarkable nominees at this year’s Nickelodeon Kids’ Choice Awards! It’s that time of year – aka the BEST time of the year – for the most epic, the most exciting and the most slimetastic award show out. This year’s 2018 Nickelodeon Kids’ Choice Awards is bound to be even bigger and better with tons of new categories, an endless amount of terrific celebs who will be attending, one phenomenal host and an outstanding performance from a Nickelodeon and social media star that we all love. It will all go down at the 2018 Nickelodeon Kids’ Choice Awards, hosted by the iconic John Cena, which takes place on March 24th at 8:00 PM ET / PT at the “Fabulous” Forum in Inglewood, California. Nickelodeon just announced the nominees for the exceptional award show today. For the first year ever, Nickelodeon will be introducing a four-week voting wave where new categories will be revealed each week leading up to the show. 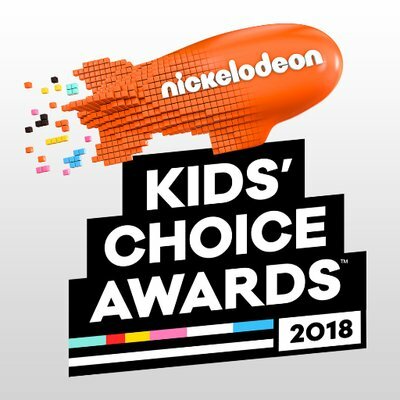 You can join in on the fun and help your faves win by casting your votes at http://www.kidschoiceawards.com – the official destination for all things KCA. You can also cast your votes by using the KCA hashtags and the hashtag of your favorite nominee. To add even more excitement, Nickelodeon also revealed that the one and only, the spectacular JoJo Siwa will also be performing at the event. The multi-talented, young lady will take on the stage to perform a medley of her greatest hits. JoJo Siwa will, without a doubt, make the KCAs even more special with her unforgettable performance. The Nickelodeon Kids’ Choice Awards is bound to make entertainment history yet again as it celebrates kids’ favorites in television, movies, social media and beyond. Don’t forget to get your voting fingers ready and tune in to the KCAs on March 24th at 8:00 PM ET / PT on Nickelodeon! Follow Nickelodeon on Twitter and Instagram: @Nickelodeon and join in on the conversation by using #KCA. Check out the full list of nominees for the 2018 Nickelodeon Kids’ Choice Awards below! Previous Article: The Multi-talented Tiffany Haddish Set To Host The 2018 MTV Movie & TV Awards! Next Article: Check Out A Recap Of Model Larsen Thompson’s Fabulous New York Fashion Week Experience!